Above you can see an overview map of Astrid Lindgren’s World. The park is 180,000 m2, that is more than 22 football pitches, and a walk around the park will take you to one familiar location after another. 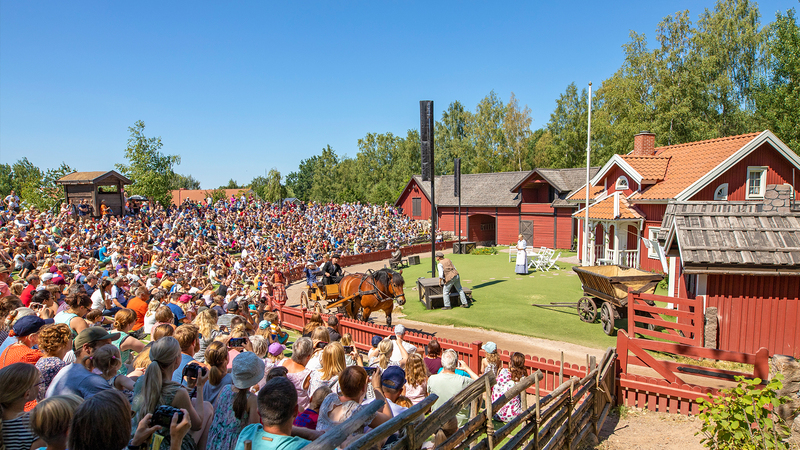 On a visit to Astrid Lindgren’s World, you can stroll around the pastures and meadows, in the deepest robber’s forest or through the picturesque turn-of-the-century town. Maybe you’ve visited Matt’s Fort in your imagination when you listened to the stories about Ronja. But have you ever stood between the massive stone walls and heard the sounds of the wild harpies and other goblins that live in the forest outside? In Astrid Lindgren’s World you can do that and many other exciting and fun things.